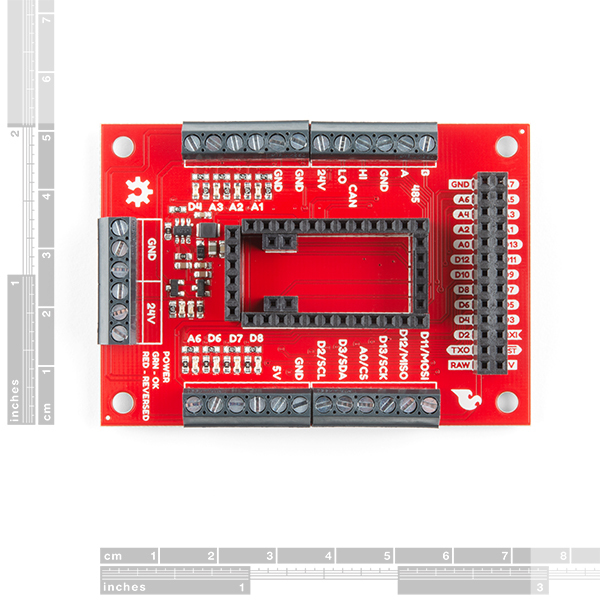 The SparkFun AST-CAN485 I/O Shield allows you to use the AST-CAN485 Dev Board with 24VDC Inputs and Outputs, a popular voltage level for industrial automation devices as well as 5v devices. 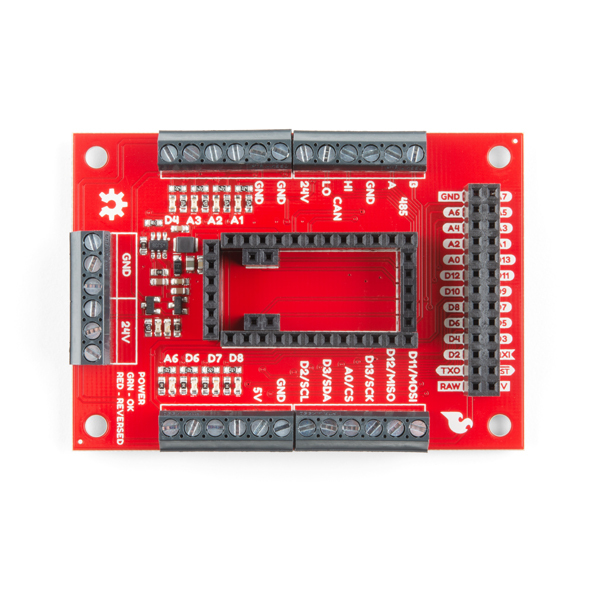 By providing screw terminals, the board can easily and safely interface with I/O in a semi-permanent manner which allows for inputs, outputs, or the board itself to be swapped out. With all pins pre-populated with either females pin headers or screw terminals, setup time is minimized. 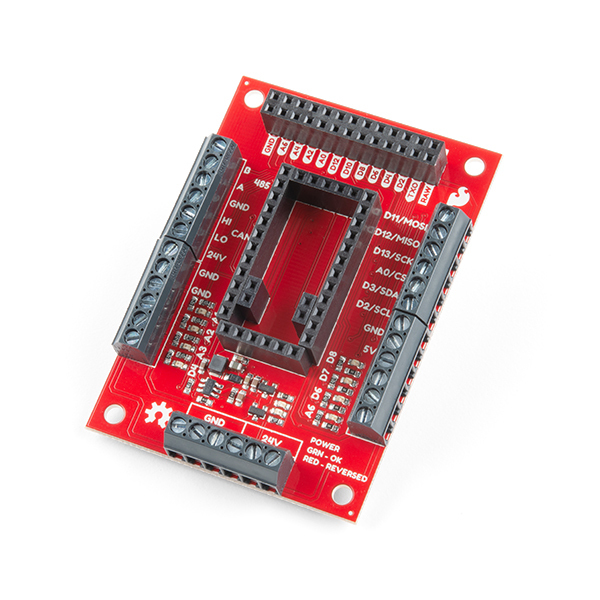 The AST-CAN485 I/O Shield provides a socket to break out all of the I/O of the AST-CAN485 Dev Board. To make a secure connection to your industrial equipment, screw terminals come pre-soldered to the board to get you up and running in no time. The AST-CAN485 I/O Shield is designed to work in the industrial 24V environment, but has a wide supply input range of 7-24V. 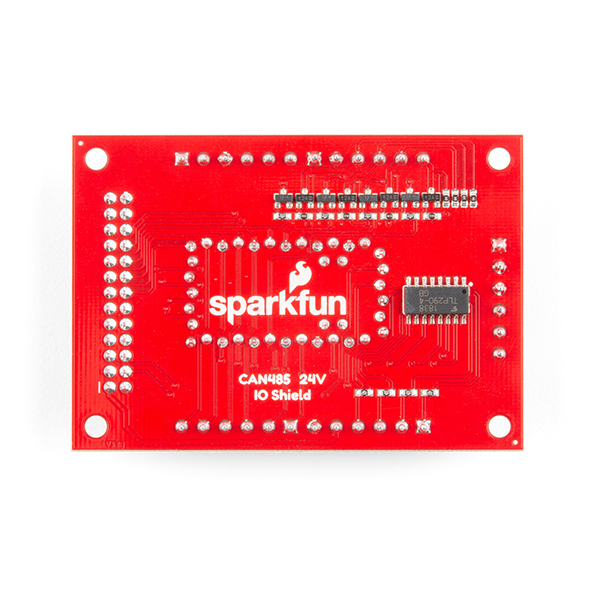 The board comes with input reverse voltage protection with a green and red status LEDs (green means power is connected properly, and red indicates reversed power, and blocks power to the rest of the board.